- While 10 Endrathukulla is Vijay Milton's 3rd film as a director, Naanum Rowdy Dhaan is Vignesh Shivan's 2nd as a director. While A.R.Murugadoss is the producer of the former, Dhanush has funded the latter. Two celebrity producers, indeed ! 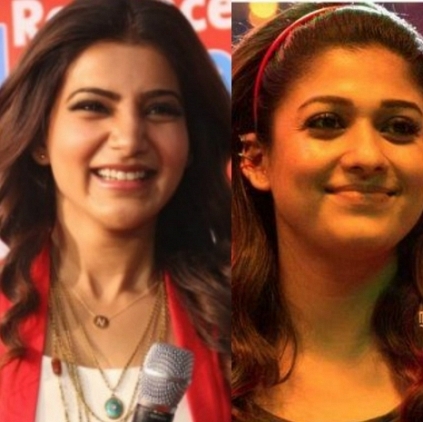 - Both the films have prominent parts for the respective heroines, Nayanthara (NRD) and Samantha (10 EK). While the former plays a hearing impaired woman, Samantha is said to have dual roles in the film. - Both the films have the expert services of Sreekar Prasad as the editor. - While 10 EK has been censored with a U and has a run time of 2 hrs 25 mins, NRD has a U/A certificate and a run time of 2 hrs 20 mins. - The advance bookings for both the films look promising and with a long 5-day Pooja holidays weekend ahead, a great opening is guaranteed, more so with positive word of mouth. Stay tuned for more on these films and our reviews tomorrow. Thala - Thalapathy Diwali yet again! Imman's Tunes For 10 Endrathukulla Will Hit Stores On The 6th Of October. People looking for online information on 10 Endrathukulla, Naanum Rowdy Dhaan, Nayanthara, Samantha, Vikram will find this news story useful.